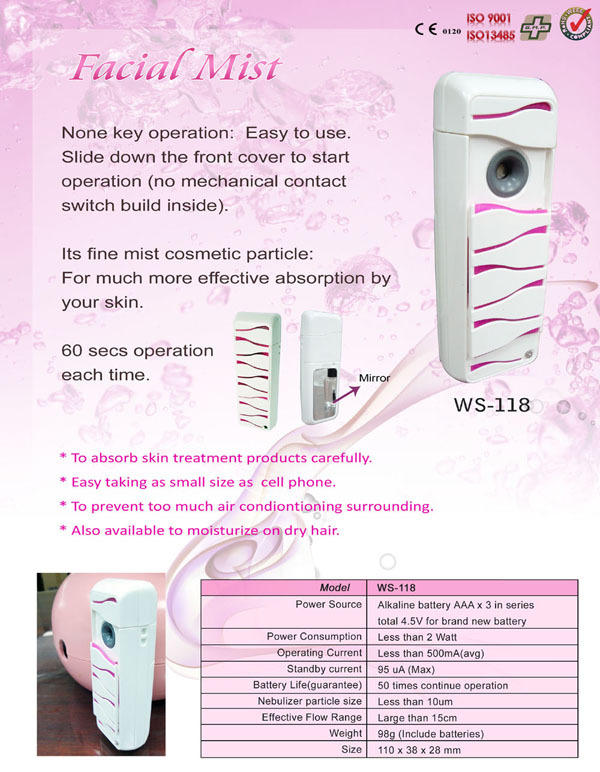 Taiwan Facial Mist (WS-118), Portable, Portable Nebulizer - Palifull Co., Ltd.
None key operation: Easy to use. Slide down the front cover to start operation (no mechanical contact switch build inside). For much more effective absorption by your skin. 60 secs operation each time. * To absorb skin treatment products carefully. * Easy taking as small size as cell phone. * To prevent too much air condiontioning surrounding. * Also available to moisturize on dry hair.